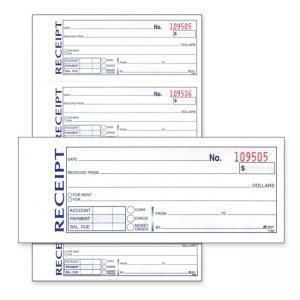 Money/Rent Receipt Book tracks your receipts with contains four carbon less receipts per page. Original is white, and duplicate is canary. Wraparound cover is attached to back. Place cover between sets to prevent write-through. 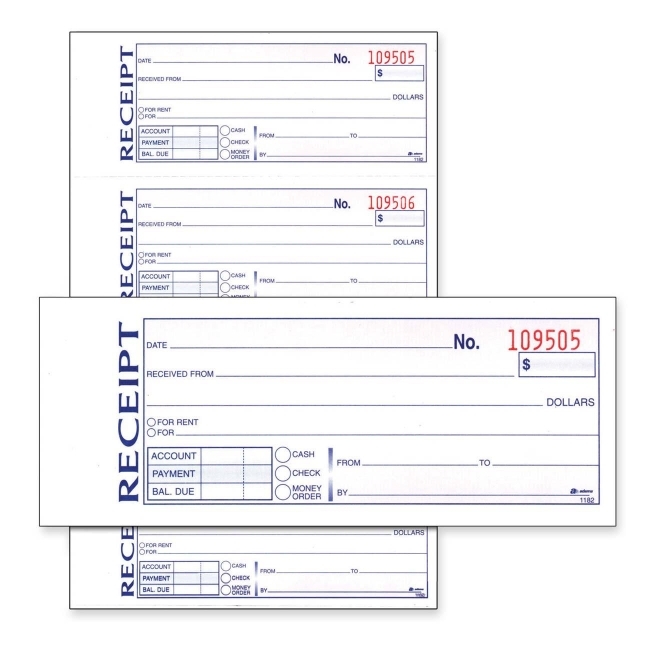 Receipt book is tape-bound.